The Cadillac CTS-V is going away. I decided to check it out before it's gone for good. The history of American cars should really be described as \"Before CTS-V\" and \"After CTS-V.\"
2016 Audi A6 vs. 2016 Cadillac CTS: Which Is Better? We're comparing two popular luxury sedans, the Audi A6 and the Cadillac CTS, to see which is better. 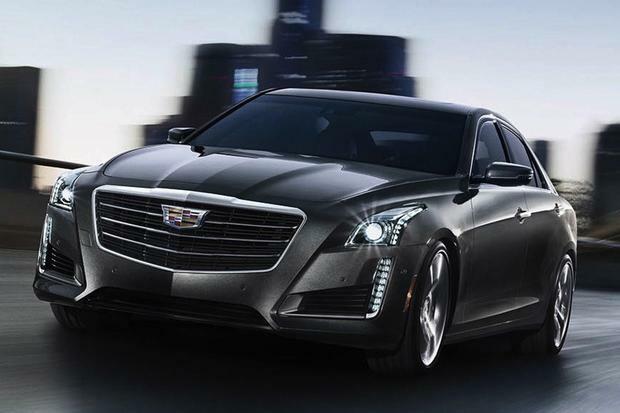 Fully redesigned last year, the 2015 Cadillac CTS is now in the same league as rivals such as the BMW 5 Series, Audi A6 and Mercedes-Benz E-Class. Longer, lower and lighter than the outgoing sedan, the CTS ups the ante by adding a trio of new engines, a new 8-speed automatic transmission and a new model: the CTS Vsport. Not a replacement for the legendary CTS-V, the Vsport brings new levels of power and performance to the CTS lineup while still delivering a comfortable ride, reasonable fuel economy and a $60,000 price tag. With the CTS, Cadillac has combined the bold and dynamic character that's unique to American cars with the power and performance that makes pricey European models so desirable. From an interior point of view, the CTS is stunning, more opulent and more colorful than an E-Class or 5 Series model, and it's easily on par with the Audi A6. The interior colors include a lovely light-brown leather dubbed Kona, Twilight Blue leather or black leather with Morello Red accents. 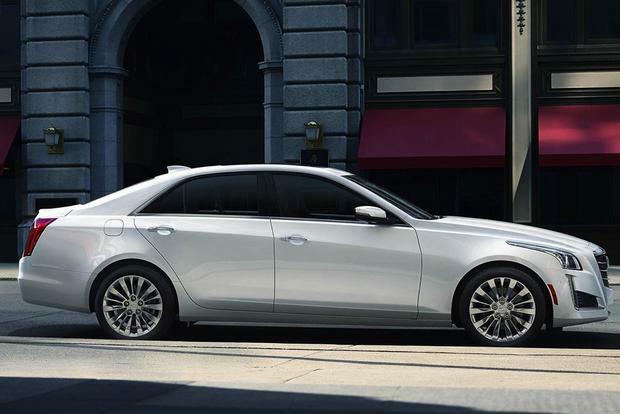 Since the CTS was redesigned last year, it offers no major changes for 2015. In fact, the biggest update is that the outgoing coupe and wagon models are finally discontinued and won't see the 2015 model year. 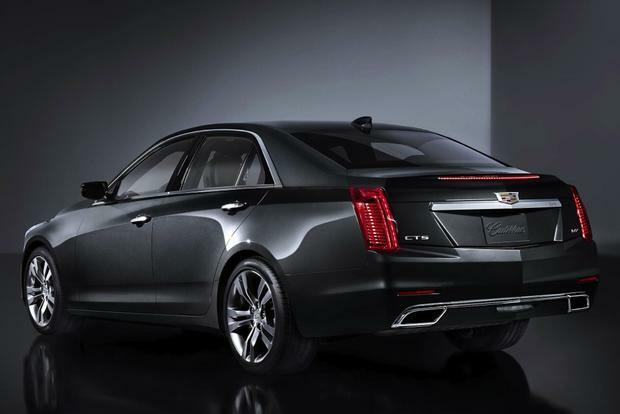 Cadillac offers the 2015 CTS in three trim levels -- each with its own engine. The 2.0 model is powered by a turbocharged 2-liter 4-cylinder engine good for 272 horsepower and 295 lb-ft of torque. Environmental Protection Agency (EPA) fuel economy for this engine is rated at 20 miles per gallon in the city and 30 mpg on the highway with rear-wheel drive and 19 mpg city/28 mpg hwy with all-wheel drive. The mid-level 3.6 model is powered by a 3.6-liter V6 engine that develops 321 hp and 275 lb-ft of torque. Rear-drive models are rated at 19 mpg city/29 mpg hwy, while all-wheel-drive cars earn a slightly lower 18 mpg city/26 mpg hwy. The performance-oriented Vsport model is powered by a twin turbocharged 3.6-liter V6 engine that pumps out an amazing 420 hp and 430 lb-ft of torque. This model is only offered in rear-wheel drive and earns an EPA-estimated 17 mpg city/25 mpg hwy. The CTS 2.0 is offered in base, Luxury, Premium and Performance trims, and the 3.6 only offers Luxury, Premium and Performance trims. Finally, you can get the Vsport in Vsport or Premium trims. The base CTS 2.0 ($46,100) includes Cadillac's CUE connectivity and control system with an 8-inch touchscreen, 11-speaker Bose premium audio, dual-zone automatic climate control, selectable drive-mode control, remote engine starting, Bluetooth, keyless access with push-button starting, a 6-speed automatic transmission, leatherette seating fabric, 8-way power front seats with 4-way power lumbar support, steering-wheel-mounted shift paddles, a tilt-telescopic steering wheel, active aero grille slats, rear park assist, 17-in painted aluminum wheels, OnStar with voice-guidance navigation (requires subscription) and automatic headlights. 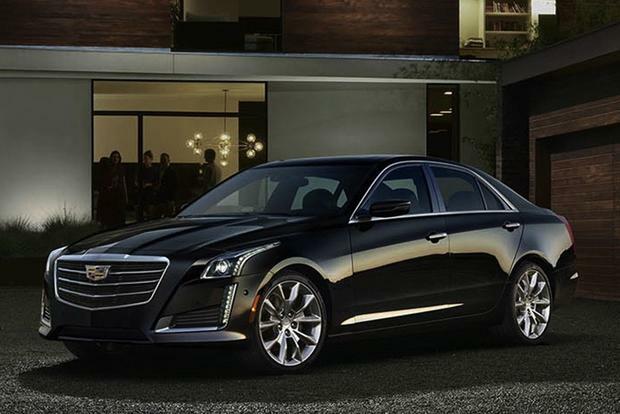 The CTS 2.0 Luxury ($52,000) adds leather seating, heated front seats, 60/40-split folding rear seat, rearview camera, HID headlights, a heated and power tilt-telescopic steering wheel, the Driver Awareness package, and memory for the driver's seat, outside mirrors and steering wheel. The CTS 2.0 Performance ($59,100) adds 3-zone climate control, magnetic ride control, a 13-speaker Bose audio upgrade, heated and cooling front seats, a head-up display, voice-activated navigation, an UltraView power glass sunroof, a power rear sunshade, manual rear-window sunshades, automatic parking assist and 18-in alloy wheels. The CTS 2.0 Premium ($63,400) includes most of the Performance equipment, plus collision warning with adaptive cruise control, full leather trim, automatic seat-belt tightening, the Driver Assist package, a reconfigurable gauge cluster and 20-way performance power front seats, including manual cushion-length adjustment and power side bolsters. The CTS 3.6 Luxury ($55,500) includes all the same equipment as the 2.0 Luxury trim, plus a V6 engine and an 8-speed automatic transmission. The CTS 3.6 Performance ($61,900) includes the same equipment as the 2.0 Performance trim, plus the V6 engine and 8-speed automatic. 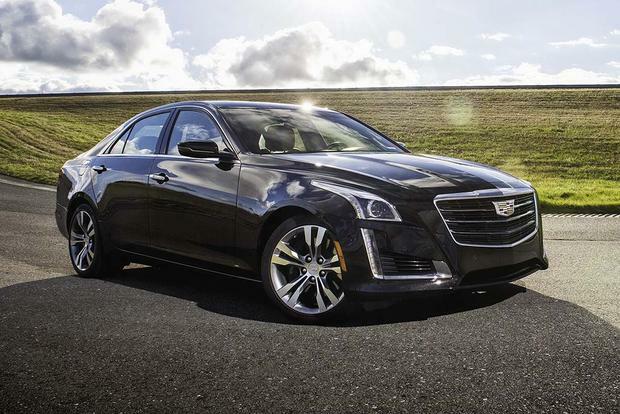 The CTS 3.6 Premium ($66,300) is the same as the 2.0 Premium trim but adds a V6 engine and 8-speed automatic. The CTS Vsport ($60,800) adds a twin turbocharged engine, an 8-speed automatic transmission, a sport suspension, sport steering settings, the Leather Seating package, wheels with an added inch of width, Brembo brakes, a driver-selectable Track mode and an electronic limited-slip rear differential. The CTS Vsport Premium ($70,800) has all the Vsport upgrades, plus most of the same luxury equipment as the 3.6 Premium. Optional equipment varies by trim. Some packages are included as standard on upper-level trims. Options include navigation, HID adaptive headlamps, a lane-departure warning system, a blind spot monitoring system, rear cross-traffic alert, heated rear seats, a head-up display, 19-in wheels and 20-way power front sport seats. All-wheel drive is available on all trims but the Vsport and is only available with the 6-speed automatic transmission. The 2015 Cadillac CTS comes standard with a full complement of safety equipment, including electronic traction and stability control, plus front, front-side and side-curtain airbags. Optional safety equipment includes a blind spot monitoring system, lane-departure warning, forward-collision alert and rear cross-traffic alert. As of the publication of this review, neither the National Highway Traffic Safety Administration nor the Insurance Institute of Highway Safety has crash-tested the latest Cadillac CTS. We spent time behind the wheel of each CTS trim. The 2.0 has sufficient power and the softest ride of the three, but its 6-speed automatic seemed to hunt for the right gear when climbing hills and held off on shifting when descending. Even playing with the adjustable drive-mode control didn't help much. While the 2-liter offers the best fuel economy of the bunch, we think the 3.6 is the right engine and transmission choice for the CTS. Handling is spot-on, as is feedback from the steering, but our test car's optional 19-in wheels and run-flat tires delivered a pretty jarring ride, prompting us to suggest sticking with the stock 18-in wheels. The performance champion of the lot is the new Vsport. Its turbocharged V6 is as powerful and responsive as some of the best V8s on the market, yet its fuel economy isn't far from the standard 3.6-liter engine. Oddly, despite the stiffer suspension settings and aggressive wheel and tire package, the Vsport's ride doesn't feel as stiff and unforgiving as the ride in the BMW M5 or Mercedes-Benz E63 AMG. We could drive this car all day and never get bored. The Vsport's selectable drive modes add an additional Track mode, which sharpens throttle response and holds back shift points for quicker acceleration out of turns. Also aiding cornering and traction is an electronic limited-slip rear differential. Inside, the CTS delivers a big dose of Cadillac luxury with a stunning interior design complemented by available semi-aniline leather, a beautifully sculpted dash, and contrasting suede and wood inserts. Unfortunately, even clever features such as the power-operated cupholder cover and electric glove box can't make up for the still-difficult-to-operate CUE interface and odd haptic-feedback touch controls. BMW 5 Series -- The BMW 5 Series is still the performance leader here, though not by much. The CTS costs less when comparably equipped and gets better fuel economy. Audi A6 -- The A6 won't perform like the CTS, but its ride is smoother and its interior is more spacious and appealing. There is also a high-mileage diesel model. Lexus GS -- The GS doesn't offer the same razor-sharp handling or power as the CTS, and its interior is somewhat generic, but it does offer a hybrid model. The resale values of GS models are still near the top of the charts. While we appreciate the 2.0 turbo's punch, this engine/transmission combo just doesn't feel at home in the CTS. We also think that the 3.6 V6 with the 8-speed transmission delivers the best combination of performance, comfort and economy, while the Premium trim is the best-equipped and probably what most Cadillac buyers will want. Finally, performance enthusiasts should definitely go for the Vsport Premium.